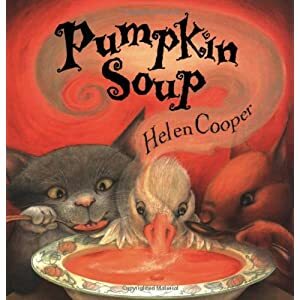 Pumpkin Soup Recipe, The Best You’ve Ever Tasted! 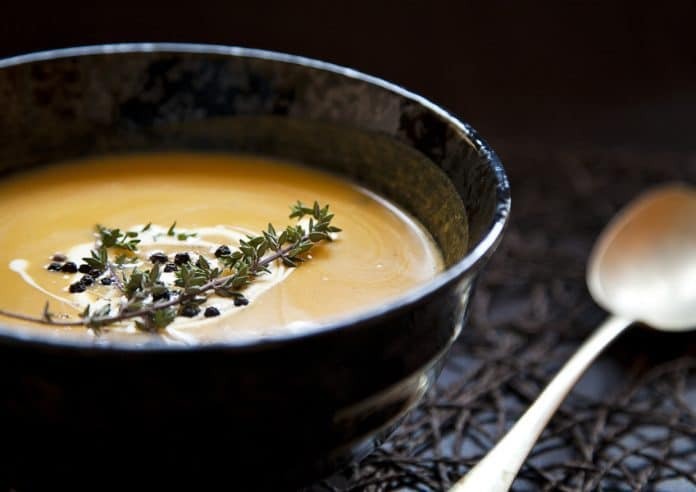 Made with secret exotic ingredients — a splash of coconut, hint of ripe banana, and packed with fall spice, this pumpkin soup recipe is truly the best you’ve ever tasted! Try letting the kids dip pieces of bread into the soup for a warm and toasty fall meal. For less adventurous eaters, you can add adjust the spice level down as needed. This recipe is a good make ahead family meal, that also freezes well. Enjoy! Melt butter in heavy large pot over medium heat. Add carrot and next 6 ingredients. Sauté about 10 minutes. Discard bay leaf. Transfer mixture to blend (or hand-held food processor) and blend until smooth. Return mixture to pot. Add broth and all remaining ingredients except cilantro. Boil over medium-high heat 15 minutes to blend flavors. Puree soup again in blender or food processor until smooth. Return soup to pot. Season to taste with salt and pepper. Sprinkle with chopped cilantro before serving, or sprig of fresh rosemary and swirl of sour cream.